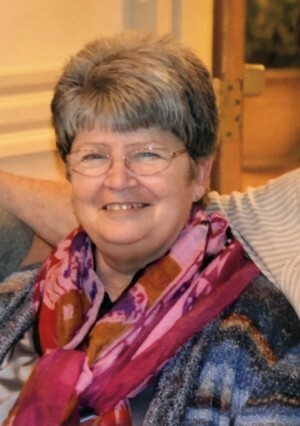 Paula Ann McCorkle – age 65 of Cameron, MO and formerly of Lathrop, MO passed away Tuesday night, January 29th, 2019 at Quail Run Health Care Center in Cameron after a long battle with dementia. Paula was born on November 26th, 1953 the daughter of Paul and Dorothy (Wakefield) Stine in Independence, MO. She was a 1971 graduate of William Chrisman High School. In May of 1994 she was united in marriage to Joe McCorkle in Maysville, MO. Joe preceded her in death in 2017. Paula worked preparing taxes for H&R Block and retired from the grain elevator in Lathrop after over 20 years of service. She was kind, loving and had a great heart. Paula would help anyone in need and always made sure her family was provided for. She was strong-willed and independent. Paula had no problem giving direction to the guys at the elevator and working alongside of them. She was a beloved coworker. She enjoyed spending time with Joe and her family. Paula also enjoyed playing computer games, mystery search games and card games. She was fascinated with birds and enjoyed watching them. In addition to her husband, Paula was preceded in death by her parents. Those left to mourn her passing include: son, Bud Mosel; daughter, Anna (Eric) Henry; step-son, Danny McCorkle; step-daughter, Lisa (Scott) Keefhaver; sister, Alice Stine; grandchildren: Eric Jr., Andrea, Jacob, Samantha, Duane, Dusty, Amanda, Amber, Kyle and Cody. Other extended family members also survive.